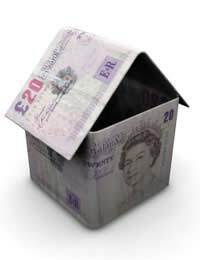 Home > Tax Tips > Can I Appeal Against a Council Tax Valuation? Council Tax is generally deemed to be amongst the most unfair taxes currently levied in the UK. As it is related to the value of the property, rather than an individual's income, many people find it difficult to pay. Furthermore, as Council Tax is currently based on the value of a property as of 1 April 1991, many people complain that they are being charged unfairly. It is possible to appeal against both a Council Tax bill and a Council Tax valuation. To begin with it is important to understand the distinction between the two: the Council Tax valuation is the amount, according to the Valuation Office Agency (VOA), that your property would have fetched on the open market were it sold on 1 April 1991. This valuation is used to calculate your Council Tax band, which is then used to determine the amount you must pay. Your Council Tax bill is simply a record of how much you owe. You can challenge both parts. It is possible, in some circumstances, to change the entry for your property in the VOA's list. This is generally only possible when you have had major work done to the property; for example, when part of the property has been demolished, or when it has been converted into flats. You may also appeal against the valuation when changes have been made to the surrounding area that may affect the value of your property. Appealing against the valuation is known as 'making a proposal'. This can be done online, via the VOA website. You should remember, however, that revaluation is not always a good thing. It is not uncommon for those making appeals to find that their valuation actually goes up, as the VOA decides that the property was undervalued in the first instance. Your first port of call in these instances should be your Local Council. They will have a dedicated team dealing with Council Tax enquiries and should be able to help. However, if you are not satisfied with the Council's response, you can appeal to the Valuation Tribunal. Appeals to the Tribunal must be made in writing, and must be received within two months of the Council informing you of its decision. If the Council fails to tell you its decision, you can appeal within four months of the date that you first wrote to the Council. If your appeal is successful the Valuation Tribunal will arrange to have your bill adjusted. It is also worth remembering that Councils frequently investigate their own Council Tax arrangements. As such, if you think you are being undercharged, you may be better off telling the Council quickly in order to avoid a large bill at a later date.